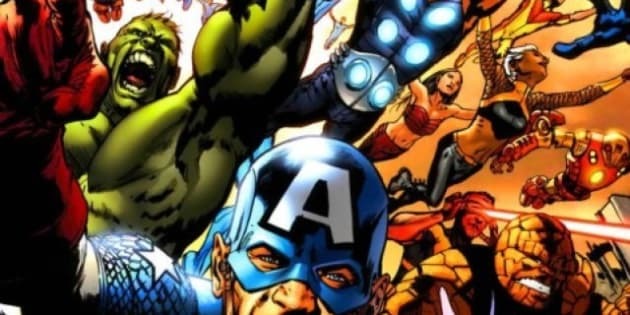 Advance Review of the "The Avengers": Arise, O Nerds! Because I live in Mexico, I get to see The Avengers before you do. The jingoism is pitch-perfect. The nerd-bonding between Tony Stark and Bruce Banner will, I suspect, give rise to a tsunami of nerd-bonding around the world. The hooting and swearing and booing were critically astute, in a way that no actual critic was upon Titanic's first release. Somehow it's taken more than a decade to recognize, almost universally, just how wretched that flick really was. And still is, despite the added dimension. Mawkish improbability does not become any less saccharine or moronic when it threatens to climb out of the screen. Our shamed projectionist quickly changed reels -- or thumb drives, or whatever they use to ship narrative these days -- and we began to experience the vastly superior, if still slightly mediocre, Avengers 3D. When it came to the details, however, the project was risible. At the end, I remember screaming inwardly: please don't let that thing clutched in the old lady's fist be the Goddamn Necklace. And yet (spoiler alert), it was. That bit of deft kitsch, though a solid punch in the face, was relatively subtle beside some of the tender headbutts inflicted methodically by Titanic. On the other hand, some of the details are gorgeous. The nerd-bonding between Tony Stark and Bruce Banner will, I suspect, give rise to a tsunami of nerd-bonding around the world. Insufferable smart people showing genuine respect for antisocial smart people? How cool is that? The jingoism too is pitch-perfect. I wondered how they were going to incorporate Captain America, whose abilities are a bit low-tech relative to the rest of these overachievers. As they point out in the film, with his modest dose of Vita-Rays, Herr Yank is -- physically speaking -- Hulk Lite. And brainwise, he can't really compete with Tony Stark. The Cap is a big-hearted innocent; he's not a rocket scientist (which makes sense, as his education came to an end historically just as rocket science was born). Stark, on the other hand, actually is Werner von Braun, only less Teutonic and more fun. How are you going to make these guys into a team? The answer is ingenious: Captain America, with his C+ intellect, has invincible moral authority. This is his superpower: naive patriotism. Everyone else naturally falls into line behind this guy, just as the eggheads at NASA naturally defer to the boneheads at the Pentagon. The microscopic personal interactions among the Avengers sometimes approach serious art. It helps that most of these actors are serious artists. The Black Widow and Hawkeye happen to be Scarlett Johansson and Jeremy Renner, and every laconic conversation between them hints at a complex and mournful history. Iron Man and the Incredible Hulk? When they're not out there crushing gods, they're Tony Stark and Bruce Banner, whose combined IQ could fry eggs. And off-set they're Robert Downey Jr. and Mark Ruffalo: guys who get nominated for Oscars, and sometimes win them. The loss of Edward Norton as Bruce Banner threatened to be one of the film's great disappointments. Ruffalo, however, significantly outperforms Norton, who was never really comfortable slumming it as the Jolly Green Gamma Mutant. OK, so Thor can't really act yet (although he's not as bad as he was in Thor), and Captain America doesn't really have to act (which is a good thing); but most of the performances border on outstanding. On the grand scale, sure: very little of it makes sense. And when it does, it's so eye-pokingly derivative that it makes you long for incoherence. Joss Whedon, however, has mastered one of Hollywood's oldest and most effective sleights of hand: if you keep the velocity cranked, a story can speed effortlessly over plot holes. Whereas Titanic, with its way-epic sweeping and majestical pacing, never misses the opportunity to stumble and face-plant. You may find it annoying, but I'm proud of my forced juxtaposition of these two films. The Avengers is all about forced juxtaposition. If you can somehow weave an evening of genuine entertainment out of this magnificent dog's breakfast -- Norse myth copulating robustly with WWII propaganda, Sherwood Forest, and Alien -- then I figure I can stuff anything I want into a mere film review.